Purpose: My career change to Psychology is grounded upon 20+ years of being an EMT, private detective, security consultant, instructor, and IT entrepreneur. Before that I was a musician and a singer in an alternative rock band. I like to think that curiosity, attention to detail, and the desire to solve the puzzle and uncover the truth, are qualities that are as well suited to the Psychologist as they are to the security professional. I also explore common origins between my great passion for psychology as a middle-aged adult, on the one hand, and my love for rock music as a young man on the other. My short term goal is to earn the PSYD Degree in Combined School & Clinical Psychology at XXXX University. Fully dedicated to lifetime research and professional growth, I hope to publish and teach in the area of Psychology for decades to come. I am applying only to the XXXX College at XXXX where I am currently finishing my undergraduate degree because I could not be happier where I am. Thus, I feel strongly that I am best poised to excel here at XXXX where I have a long record of engagement. My first volunteer experience was at XXXX, on the crisis hotline, in 1986. I became an EMT and did my clinical work in Union and Elizabeth. The East Campus is less than a mile from my house. This is home. My purpose as a Psychologist will be to help children, especially adopted children, a goal that is grounded in the fact that I was myself an adopted child. I am also dedicated to the fullest embrace of diversity possible and most intrigued by the complex ways in which our understanding of the ‘family’ is changing in America. Thus, I look forward to the fullest immersion possible in the literature concerned with the well being of adopted children in today’s America, especially as concerns issues of race, multiculturalism, gender and sexual orientation, immigration, and language. I describe my Spanish as high-intermediate, speaking, writing, and reading. I am a white American man who takes great delight in the celebration of diversity. The intersection of diversity issues and Social Psychology is probably the best description of the center of my personal and professional interests to date. Yet, I do not seek a professional lifetime of pure academics. My father is a Professor of Political Science at the University of XXXX and we have always been close, so I have a better than average understanding of what the academic life entails. I do hope to teach at some point in my career, however, but I want it to be combined with industry experience. One of the reasons why the University of XXXX is my first choice for graduate school in Industrial/Organizational Psychology, for example, is that I would very much enjoy spending at least a few years working at XXXX. “Not another team building seminar,” I thought to myself, “and on a Saturday no less.” The speaker talked exclusively about a toothpaste factory and, at first, I was thinking about the other things that I would have liked to have done with my Saturday. But as he continued to speak, I increasingly felt like a fish being reeled in by forces beyond his control. He told the story of the psychology of the assembly line, what made everyone ‘tick’ the way that they did in that particular industrial context. 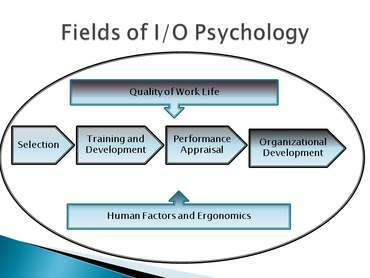 By the time his presentation was over, I felt as if I had just run smack into my vocation—becoming an I/O Psychologist; and I could not have been happier. I am currently working as a lead medical assistant for a private practice, managing a team of 3 other medical assistants; I am also in charge of the laboratory. I am most pleased with the fact that I attend to many patients who are not proficient in English, enabling me to learn bits and pieces of their language, enough to at least say "hello, how are you feeling today." I also use my cell phone to translate for patients when they tell me what is wrong with them and convert their 'plan of care' (a summary of what they are supposed to do after the visit) into their native language so that they are not hindered by any language barriers with respect to the doctors’ instructions. Going that extra mile to surmount language barriers, while it often presents a challenge it is well worth it, because of the way that it facilitates the building of a rapport with the patient. I feel very privileged to be living in especially exciting times for my area of chosen professional engagement since new paradigm shifts related to diversity and globalization are emerging and there are many new, very promising avenues of inquiry. I am especially excited about the possibility of earning an advanced degree from UXX because of the presence in your program of Dr. XXXX since I very much admire his extensive work in the area of intercultural awareness. I too dream of working in this area, the study of how we can work with and build on our differences; coming to see them more as unique resources rather than simply a hindrance to communication. I look forward to a long lifetime of research into our understanding of how to best promote multicultural appreciation in the workplace. I see no better place to begin than your distinguished I/O Psychology Program at UXX. UXX is my first choice for graduate school for a variety of factors; including what is for me a most desirable location. I see your program as an excellent platform for networking and collaborating with many NGOs in the future in the areas in which I will develop my special focus, particularly with respect to volunteer work on behalf of the medically underserved. I find enormous satisfaction in my current work as a manager in a clinical setting and I look forward to developing a personal and professional focus on medical issues at UXX along with my more general studies in the psychology of human organization and my professional passion for diversity issues. My colleagues at work often compliment me on my ability to stay calm at all time and to have a soothing affects on patients. I take pride in my compassion and will continue to work to develop it throughout my lifetime. Volunteer work has helped me to raise my civic consciousness, especially through my church, but also through my participation in animal rescues. A few years back I spent most of my summer nights at the XXXX Marine Aquarium caring for sick creatures. It was always my intention to ‘make a difference’ with my life rather than merely to ‘make a living’. Since my earliest days, I have been very interested in how the mind works and the wide differences between individual reactions to similar situations and challenges. All my adult academic and working experience has been devoted to the study and practice of psychology and counselling except for a period spent in a ‘call centre’. This experience was also very useful as one cannot function well in that field without acute listening skills, a genuine ability to empathize and then to find and apply effective solutions. I now seek to extend my skills and knowledge in Counselling Psychology to maximize my utility to clients, to enable me to eventually pursue a Ph.D., and then to practice and teach as an expert in the field. My interests are wide but I have developed a particular area of interest is in assisting child patients and their families because of the levels of distress and sacrifice that I have observed. PsyD Research interest: My interest in the area of adopted children and children in foster care is grounded in my personal experience. Shortly after my birth, I was placed in an orphanage in Miami, Florida. Not long after, I was adopted by a couple who brought me to New Jersey and raised me one mile from the XXXX University campus where I now study and hope to continue to study as a graduate student. I am intrigued by issues in my own development, such as trying to become an alternative rock star right about the time that I was beginning to figure out that I was adopted to begin with. Has my spending over a decade as a security specialist somehow been related to childhood/adolescent insecurities? Why have I chosen to stay so close to home, once again deciding to live in my adopted parents’ house, since both of them have passed away? I keenly look forward to giving the balance of my professional lifetime to investigating connections between the separation of children from their biological parents and the development of emotional disabilities at an early age, particularly in a school setting, and the ways in which these disabilities all-too-often persist into adulthood. I have a closely related interest in our juvenile detention system, with which I may develop a professional engagement in the future since I am especially concerned that juveniles in this system receive effective treatment for emotional disorders. Aspirations: I could not feel more alive than I do studying Psychology at XXXX; and I feel strongly that it is in my present academic environment where I am best poised to excel. If accepted, I hope to serve as a Graduate Assistant. In addition to studying under Professor XXXX, I plan learn as much as I can about trauma, stress, and mindfulness from Drs. XXXX, XXXX, and XXXX. I am most enthused about collaboration initiatives unfolding between Kean’s Holocaust and Genocide Studies Programs and advancements being made in the examination of outcomes of community-based interventions for trauma victims. Profoundly inspired by Professor Aaron A. Gubi’s work on the promotion of well-being among children and adolescents, I also want to learn as much as I can about positive youth development, particularly for children from minority racial/ethnic and cultural backgrounds, coupled to a broad diversity of developmental experiences. As a security consultant, I provide services to the XXXX High School, a public high school that is part of Union County Public Schools and is located on the XXXX University Campus. I implement evidence-based practice with students impacted by substance abuse and other co-morbid mental health challenges; collaborating with other professionals to create an online training experience for school psychologists and school counselors. Currently, however, I have scaled back my professional responsibilities in security and I am now working only on a per diem basis and only taking cases that are somehow related to my ongoing interests in Psychology. Additional Information: It is well established that children in foster care are at a higher risk for mental health disorders. Furthermore, misdiagnoses and missed diagnoses among these children are higher than average, resulting in mental issues that frequently if not generally continues into adulthood. Thus, in preparation for addressing these issues, I look forward to a close examination of the extent to which separation from one’s biological parent(s) results in trauma, and feelings of loss and rejection that last into adulthood. I want to study the myriad ways in which this early emotional trauma tends to influence a person’s life decisions, personal relationships, career choices, etc. I am familiar with mindfulness, grounding techniques and meditation. I have taught them to my students and have used them. I clearly see myself working on the mindfulness-based program for burnout prevention; serving my fellow health care providers and connecting with them as a peer. I would like to measure the effects of mindfulness and grounding techniques on adults and children suffering from both physical and emotional trauma. This would include patients preparing for surgery, post-op, and patients undergoing chemotherapy. This research would not just benefit us as Psychologists and paraprofessionals, but all health care providers, especially those at institutions that are developing integrative medicine programs. As a student of Health Psychology, I could not be more fascinated with the many complex ways that the nature and character of families are changing in America, particular as our population continues to age. I am looking forward to continuing to work with palliative care specialists, building on my countless hours of patient contact experience as an EMT, working with physicians I have known for years at Trinitas, Overlook and Morristown Hospitals. Studying and working at Kean has been the cornerstone of that foundation. My dad was a disabled World War 2 veteran who lost both of his legs in combat at the age of 25. Since 1945 until his death in 2009, he lived with PTSD and very little emotional support. When he became too sick to take care of himself in early 2008, I returned to my childhood home to look after him. As I watched him deteriorate, he became extremely depressed, disoriented and demented. The Veteran’s Administration was useless and only after his second cardiac arrest and resuscitation did his civilian doctors prescribe him some Prozac. When I tried to secure some sort of psychiatric or emotional support, there was nothing available to him. Living here with his memory all around me, I cannot help but reflect upon veteran’s affairs and the egregious injustice to which so many have been subjected because of inferior-to-non-existent care for our traumatized veterans. My father was a hero who deserved better.